I started with Metso in March 2007, when I joined the Flow Control business line of Automation segment to do my Master’s Thesis for the Neles Smart Products department on Value Based Marketing. After the thesis, later in 2007, I first signed a temporary contract as a trainee and then after couple of months I was offered a position as a Business Analyst at the same department I had done my thesis for. In December 2008 I got then promoted to a Product Manager position in which I stayed until I moved here to Qatar at the end of May this year. I’m currently working as a Business Development Manager focusing on our Smart Products and I’m based in Doha, but still looking after the whole region. Here in Doha we are currently working together with a small 8 person team, our Middle Eastern ‘head office’ with more colleagues being located in Dubai. Besides Dubai and Doha, we have also an own office in Bahrain. One of the reasons I wanted to join Metso at first place were the international possibilities Metso offers for its employees as a global company. Since I joined the company I have actively shown my willingness to move abroad if a suitable opportunity comes across and now this spring the company’s needs and my own expectations then met and I got the opportunity to join our Middle Eastern sales and service team in a role where I can take advantage of what I have learned in my earlier positions working for the Product Line side of the business. In my previous Product Manager role I had a global responsibility for the products I looked after for, so even if I have been based in Finland I have had the privilege to work together with our talented colleagues across the globe in a truly international working environment. Besides the Metso colleagues, I have also had chance to meet many of our customers in several different countries and continents. I had also made a few business trips to Middle East in the past, which made it easier to make the decision to move here since I was already somewhat familiar with the local working environment and culture and in addition knew many of the colleagues I was going to work with in advance… and what is maybe even bit more important, I was familiar with the local weather that can get quite hot during the summer months (when writing this, it is +42C outside and the humidity is expected to peak at 95% today). Qatar itself is an interesting country to work and live in, being a kind of a mixture of Western and Arabic worlds. It has rich natural resources that bring the country wealth that then again enables significant investments on developing the country. The population of the country is growing rapidly and especially the capital city of Doha is developing on a breathtaking pace. 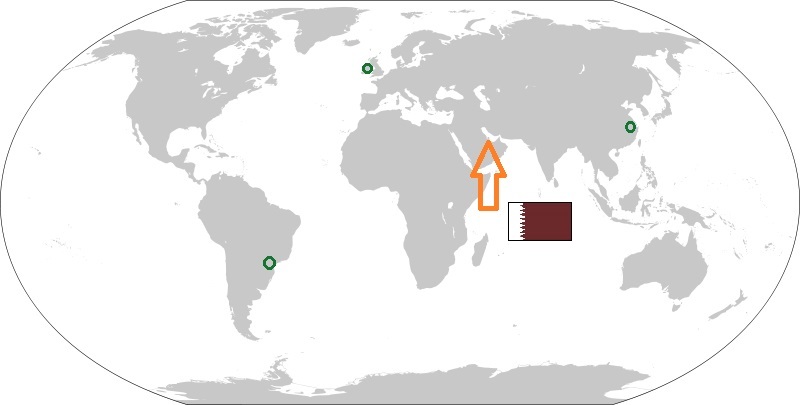 The current population of Qatar is about 2 million and it is expected to rise to 3 million by 2020. Endless amount of massive infrastructural projects are on-going or to be started, all aiming to have the city ‘ready’ for the 2022 Football World Cup that will be hosted by Qatar. Qatar and the whole of Middle East is a market having a lot of growth potential also for us as a company, so I’m sure the challenging targets for the future will also bring along plenty of opportunities for the current and future employees of Metso. I’m myself currently here in Qatar on a 2+1 year contract, but the future will then tell how long I’m going to stay.